This large duplex, located in the amazing Beaumaris community is sure to impress! With over 1300 square feet, you and your family can spread out in your new home! 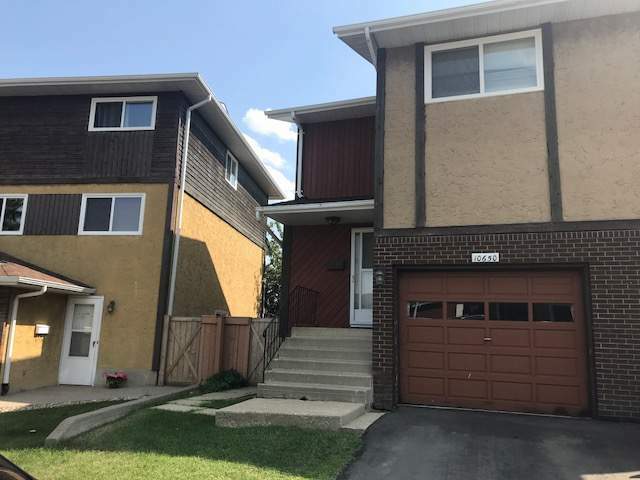 Three spacious bedrooms upstairs with one full bathroom, with the master bedroom offers its own private ensuite bathroom and one of the biggest walk in closets you have ever seen!! The spacious living room and kitchen are found on the main floor along with another half bathroom. The kitchen itself boasts stainless steel appliances including a fridge/freezer, an oven/stove and even a built in dishwasher! Plus, custom cabinetry and counter-topsl! Lovely windows in your living room allow the perfect amount of natural light throughout the entire year, plus a small deck off the kitchen and a fully fenced yard will allow you to enjoying the long summer nights! Laundry is located in the unfinished basement, which offers a ton of storage space!